I am wondering if Seefeld would be a suitable resort for relaxed and easy skiing? This is for next winter for someone who has had cancer / major surgery and treatment and will be looking for somewhere with other activity options if they feel too vulnerable skiing. Lots of experience of Austrian resorts already and would prefer to stick with Austria – previously ruled out Seefeld due to seemingly small/lacking downhill ski options, but may be a sensible choice given new circumstances? Any experience of Seefeld, or suggestions of other relaxed easy/gentle skiing in Austria would be appreciated. I have no idea what would be a suitable resort, I do want to say I have a lot of respect for someone who has gone through a challenge like that and still puts the boards on. Please wish this person my best. Thank you! That is a really nice thing to say - I will pass the message on, and this will boost their confidence to 'get back out there'! 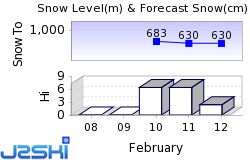 Mayrhofen is not a bad bet for someone to get back into skiing. First time there and very impressed with the facility's from getting skis through Intersport, ski and boot lockers at the bottom of the main lift and some blue routes actually marked out on the piste map. And some great places to eat in the town. Thank you. 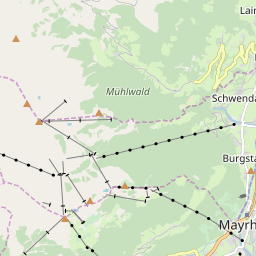 I spent a little time visiting Mayrhofen on foot many years ago when skiing in the Ziller valley but have never actually skied there, so this is helpful. Thank you. Ski Hire Shops in Mayrhofen and Seefeld. Easy skiing in Austria or Italy?